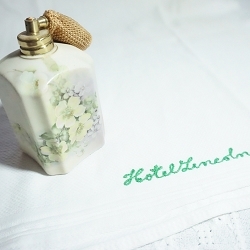 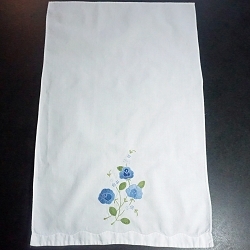 You have to enjoy this cute little hand towel or dish towel if you think of the story behind it. 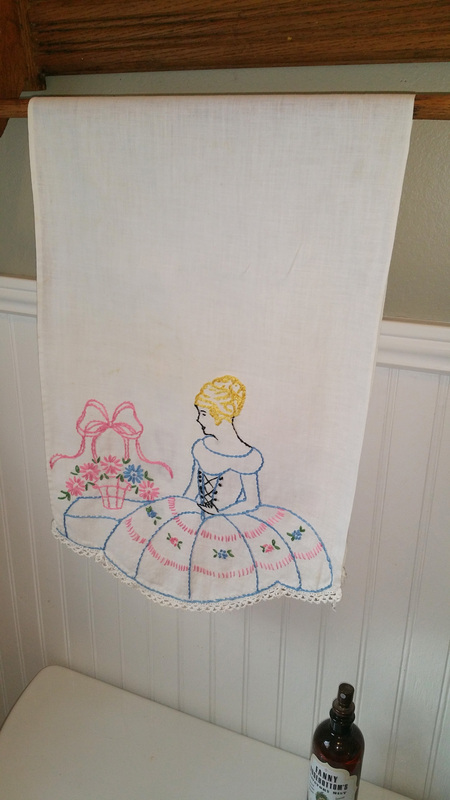 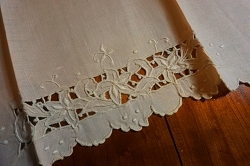 It's a pretty rudimentary design embroidered with large thread that would be easy for a young girl to have done, probably as a gift or to add to her hope chest. 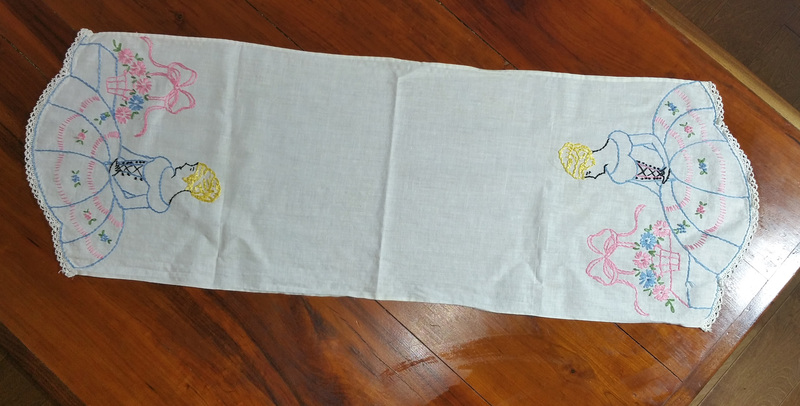 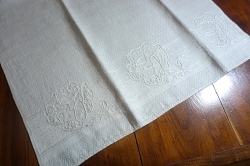 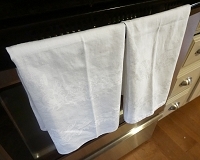 Generously sized at 34 x 12, it's embroidered on both ends to be reversible and it's in good condition.